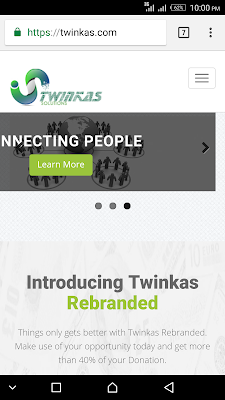 Like every other platform, the Twinkas platform have also had to endure its share of Ponzi crisis. But the Twinkas Admins are not giving up on the system, they have introduced a new way to get your money out of the platform. But this new procedure involves linking all you related Twinkas account. Warning: Do not convert your account into unit. If this is done, the money value of that account will be reduced by 90%. Accounts that do not participate in this Exercise will be tagged Dormant and will be deleted when the Re-branded Portal is being launched. Make sure all your accounts are active. Use the switch account menu to achieve this. Read and accept the terms by clicking on the “Send Profile to Rebranded Portal”. At this Stage, all accounts connected to your bank Institution account and mobile number will appear on a table. For users with Single account, this is the end for you, while for Multiple account users, proceed. Enter the account pin of all the account displayed on the table for each of your accounts and then link them. If all your accounts do not appear on this table, please log into each of them and make sure the account is active. Click on “Switch Account” to achieve this. Thanks for Complying. We will give you further Instructions after this Phase.